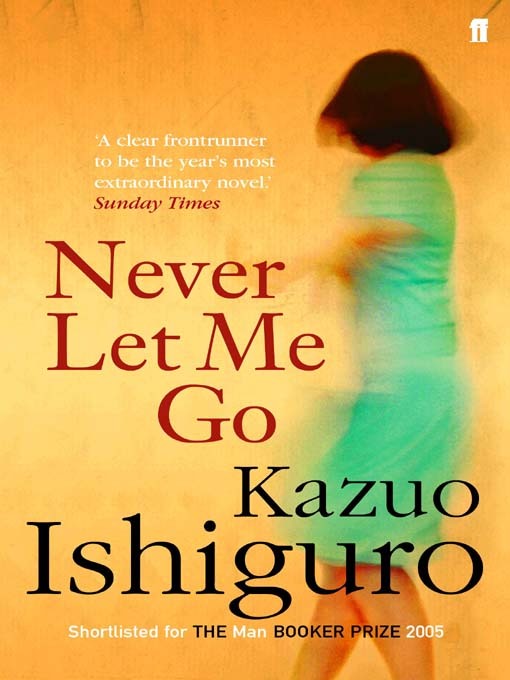 It is little wonder that this novel by the Japanese-born, British-raised, Kazuo Ishiguro was shortlisted for the Booker Prize – an award which he had previously won with his 1989 novel, The Remains of the Day. This is a particularly “Bookerish” book: understated, discomforting, occasionally sparse and even downright cold – yet without ever being bleak. To borrow a phrase from Auden, this is a work which “speaks quietly, but does not mumble,” and, in so doing, it is chillingly effective at provoking thought in the reader. This book is primarily a study of relationships, and it throws the relationships of the three main characters into sharp relief by its setting. We are told that this is “England, late 1990s,” but it quickly becomes apparent that it is a skewed take on the real thing, where the rules of human existence are not as we know them, and where a key element of our humanity is missing. Written as a reminiscence by our narrator, Kathy (who is now a 31-year-old carer, and trying to put some order on her thoughts as she enters the next phase of her life), we are side-by-side with her as she uncovers the darker realities of life outside of her boarding school, Hailsham. Never Let Me Go is a book which seems to be caught between two worlds, each with their own distinctive light. The one is the harsh, uncompromising glare of surgical lights, while the other is the contrasting, muted warmth of the light from a half-dead fire. It is this contrast, between homeliness and foreignness, nostalgia and shame, which provides the spirit of the tale. As the mysteries of our characters’ lives begin to clear up for them, equally we begin to see the pieces of the jigsaw fall into place. Thus, a sub-text emerges, one of lost innocence, and this sub-text makes us view the relationships of the characters as merely a vehicle for this more subversive message. Comparatively speaking, there is an odd resemblance between this work and that of the Irishman John Banville – the author who won the Booker for The Sea in 2005, the year in which Never Let Me Go was shortlisted. Interestingly, the Times of London reported at the time of the 2005 award that the panel had whittled the shortlist down to those two novels, and it was only the chair John Sutherland’s casting vote that decided the winner. Moreover, 2005 was the second occasion on which the two authors each had a book considered by the Booker panel – the first being Ishiguro’s 1989 award, where he held off Banville’s The Book of Evidence. in Never Let Me Go of the gleeful (and almost characteristic) use of extended and obscure vocabulary in which Banville so evidently revels. On the contrary, Ishiguro presents us with a vocabulary which is conversational, limited, and almost as damaged as the characters themselves. The comparison, then, is to be seen in the aforementioned admirable crafting of tempo, and, above all, the sense of place. It appears that Kazuo Ishiguro has succeeded in doing that which Andrew Motion states is the object of poetry: “I want them to feel they’re in a world they thought they knew, but which turns out to be stranger, more charged, more disturbed than they realised.” It is this which leads this reviewer to conclude that this book has the potential to be a quiet classic.